Data management platforms (DMP) have long been associated with companies & vendors on the buy side (e.g. DSPs and ad agencies), but they are increasingly starting to be adopted by those on the supply side, in particular, publishers. Below are 3 ways publishers can benefit from a Data Management Platform (DMP). Publishers of all shapes and sizes are really starting to feel the effects of the rise of ad blockers and the decrease in ad engagement. However, by utilizing their valuable first-party data and creating audience segments, publishers can not only increase the value of their available inventory, but also increase the click-through rate (CTR) on display ads featured on their site. Gather all your data together (e.g. 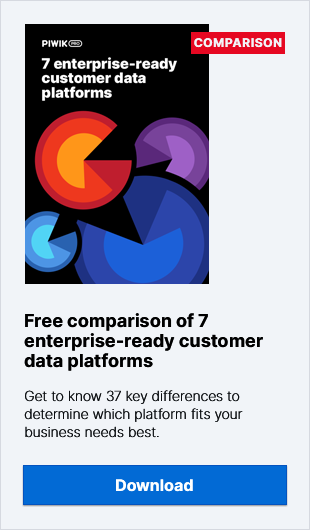 collect it from your analytics platforms, CRM systems, marketing automation platforms, etc.). Create audience segments based on your data sets – e.g. customer profile information, interests, and the topics and sections that your visitors are interested in. Pass the data to your supply-side platform (SSP) with every new bid request. The data would generally include profile fields that enrich the bid request (e.g. age, gender, keywords from the current page, etc.). Audience segments could also be passed in the bid requests, but you have the option of specifying which advertisers you wish to share them with. But how does this increase the value of your inventory you ask. Well, it’s simple – advertisers want to display their ads to highly engaged users, and if your audience includes those users, then they are willing to pay more for your available ad space. As you can see in the image above, the visitor’s demographic, interests, and even location match the targeting parameters of certain advertisers, and as a result, are willing to pay more for this ad space as there’s a higher possibility that the visitor will click on the ad. While it’s true that just adding contextual and location-based data to your audience segments can improve your inventory’s value, the real potential lies in granular user data – e.g. purchase data, web history, device usage, session history, etc. – all of which can be unlocked using a DMP. As the effectiveness of traditional display ads decreases, advertisers and publishers alike are looking for new ways to attract attention, engage consumers, and increase conversions. For advertisers, this involves exploring the world of native advertising and even dynamic ads, and for publishers, this means content personalization. Content personalization (which includes content recommendation and remarketing) aims to display content to your visitors that matches their demographic information and interests and also recommends related pieces of content (e.g. articles and videos) that your visitors have accessed in the past. The key to executing content personalization lies in your data, which is why utilizing a DMP is crucial. By gathering all your first-party data in one place, you can see a clearer picture of your audiences’ interests and past interactions with your site. From there, you can create audience segments and utilize them to personalize your visitors’ experience by displaying content that is of most interest to them. An example of a publisher that doesn't use a DMP. An example of a publisher that does use a DMP. As you can see, the content in the 2nd image is more suited to the visitor’s interests and web history. Content personalization can be utilized by all types of websites, including content-based sites (e.g. new sites and blogs) and ecommerce sites. One of the main benefits of having a DMP is that you can utilize it to create audience segments, which can be used for a range of different revenue-boosting activities – including audience extension. Audience extension involves publishers collecting their valuable first-party data and segmenting their visitors into audiences. An audience segment generally includes both contextual and behavioral data – e.g. age, location, interests, web history, purchase history, click-based interactions, etc. In order to carry out audience extension, a publisher would first need to gain access to more inventory (e.g. via a platform like AppNexus’ Audience Extension) from other publishers – typically ones that have a high-value audience. Then, the publisher would combine their inventory with the inventory from the other publishers and sell it to advertisers via direct campaigns. What Type Of DMP Is Right For Publishers? There are a number of DMPs on the market and while most of them offer similar features, they are all unique in some way. For this reason, you should first identify your needs, requirements, and goals, and then research different DMP vendors to find the one which is the right fit for you. Alternatively, if you find that the out-of-the-box DMPs don’t match your needs or are not willing to hand over control of your data to them, you can always consider building a custom DMP. This will allow you to get (and pay for) the features you really need and you’ll be able to stay in control of your data. How Can You Use a DMP for Audience Extension? How Does Data Collection Work in a DMP? SaaS or Self-Hosted: Which Model is Better for a DMP? What Types of Data Does a DMP Collect, From Where, and How?